Good morning, my DIY friends. Cutting Edge Stencils understands that a rented space is a decorator’s biggest challenge. After all how can a home be personalized if it’s only temporary? Paint and stencils are an easy way to add fresh color and pattern to customize a rental space. 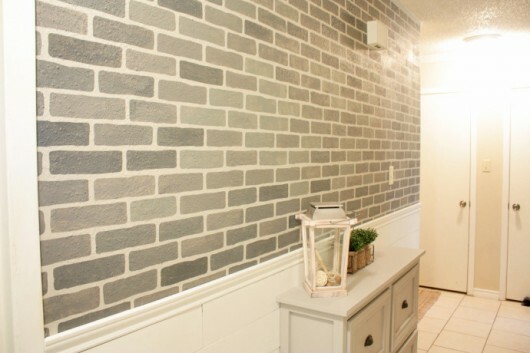 Today we’re going to take a look at how one renter was able to use wall stencils to decorate a dull hallway and get the brick wall of her dreams. We’d like to introduce Cara, the creative DIYer behind the blog Build It Craft It Love It. Cara is a renter with big design dreams. She has always loved the idea of having a brick wall but as renter it is simply not possible. So Cara put on her DIY thinking cap and came up with the second best option, stenciling! 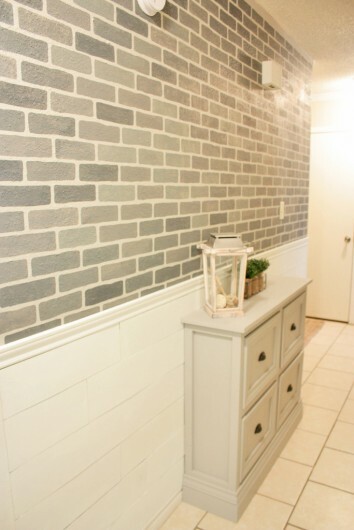 Cara commented that a stenciled brick wall “was the simplest way to get one.” We couldn’t agree more! 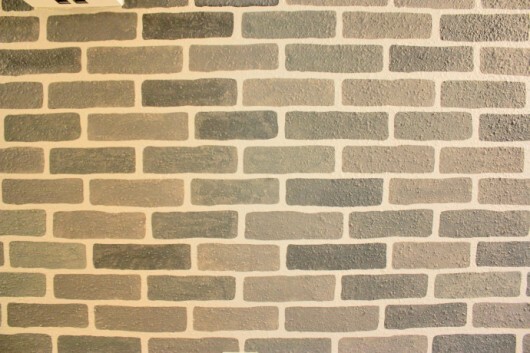 She selected our Bricks Allover pattern, a traditional faux brick design. 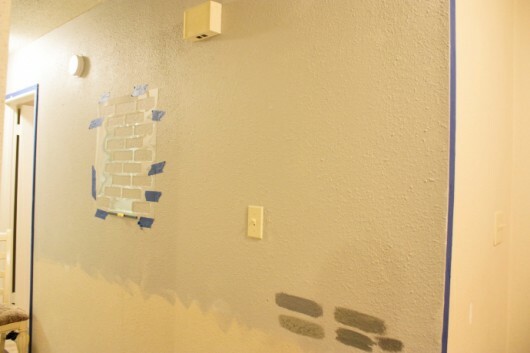 The first thing she did was paint the wall using Wood Smoke by Glidden. The base color was going to serve as the grout of the stencil. Cara taped the stencil to the wall using painter’s tape. To ensure the stencil lined up properly on the wall she used a Clip-on Stencil Level. She commented “this stencil level is UNBELIEVABLE! 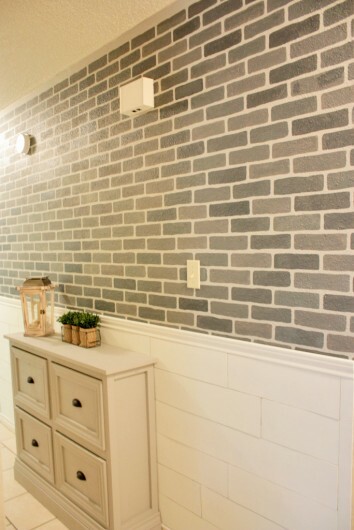 It made the process of moving the stencil so much easier.” Cara painted the brick pattern using a stencil brush because she chose to paint it in three different shades of gray. 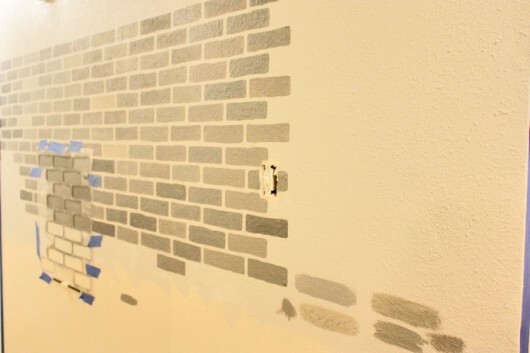 After each section was painted, she would un-tape the stencil and realign until the entire wall was painted. 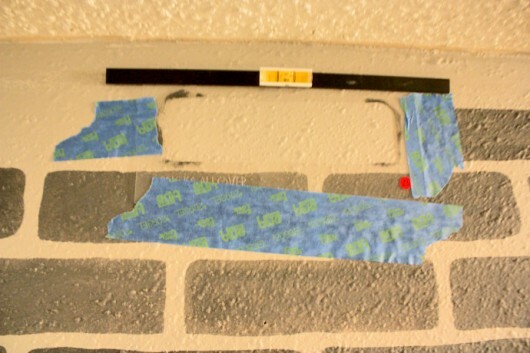 Then she used the top stencil to complete the last row of bricks near the ceiling. Drumroll please, because we’re about to share the big reveal! Here is Cara’s newly stenciled hallway. Here is a close-up of the gray brick pattern. Love this project? Then check out the rest of Cara’s awesome DIY projects on her blog, Build It Craft It Love It. 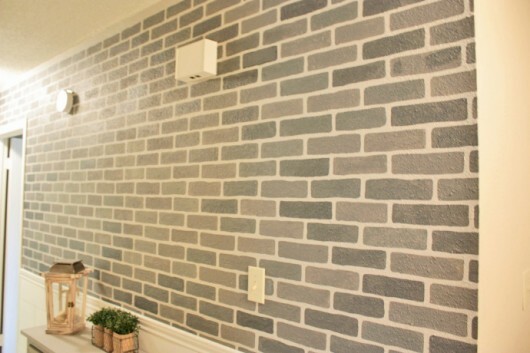 Tell us, would you stencil the Brick Allover pattern in traditional brick colors or cool gray hues? Leave us your thoughts in the comments below! Shop Cutting Edge Stencils and update your hallway!